Metallica is giving Clackamas Community College a $100,000 fund from its All Within My Hands Foundation to promote workforce education. The best-selling metal band is donating money to 10 community colleges in areas where Metallica has a lot of fans. 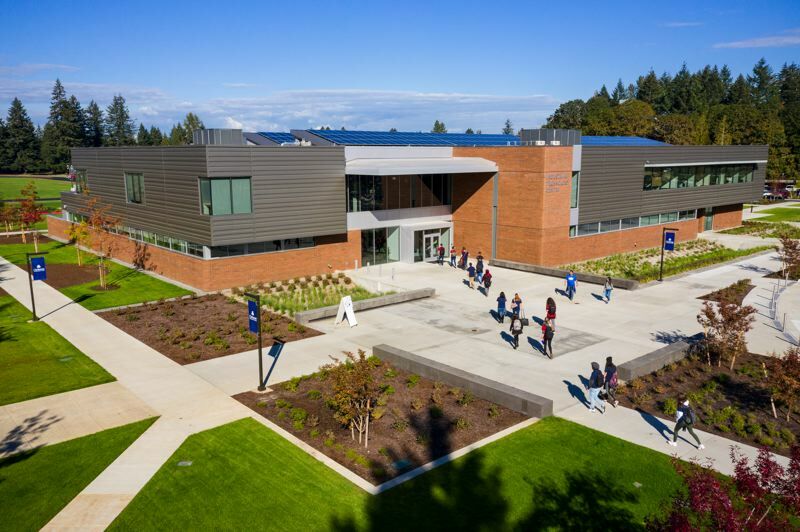 The money is for community colleges to enhance their career and technical education programs," Clackamas Community College said in a release. The programs provide skills and services to students who are looking to enter a traditional trade or other applied learning program. The students will become the first cohort of Metallica Scholars. "CCC is proud to provide a cost-effective education for students to pursue 'metals' careers working in automotive, welding and computer-controlled machine manufacturing in greater Portland," CCC President Tim Cook said. "For metals students, tuition is only half the battle. Our students, many of whom are low income, struggle to purchase the tools and textbooks needed for successful study, apprenticeship and employment in their chosen careers. I believe elevating the profile of career and technical education through Metallica Scholars could forge a path out of poverty for many in our community." Metallica is known for such songs as Nothing Else Matters, Enter Sandman, Blackened and Unforgiven. The WorldWired Tour came to the Rose Garden on Dec. 5, 2018. The San Francisco band is giving back in an unusual way: steering fans toward the higher-paying blue collar jobs. In addressing why the foundation chose workforce education as part of its mission, Lars Ulrich, Metallica's drummer and co-founder said, "All of us in the band feel fortunate that music has provided us the opportunity to be successful doing something we are passionate about. We want to share our success with others so that they can find a job where they can do the same." 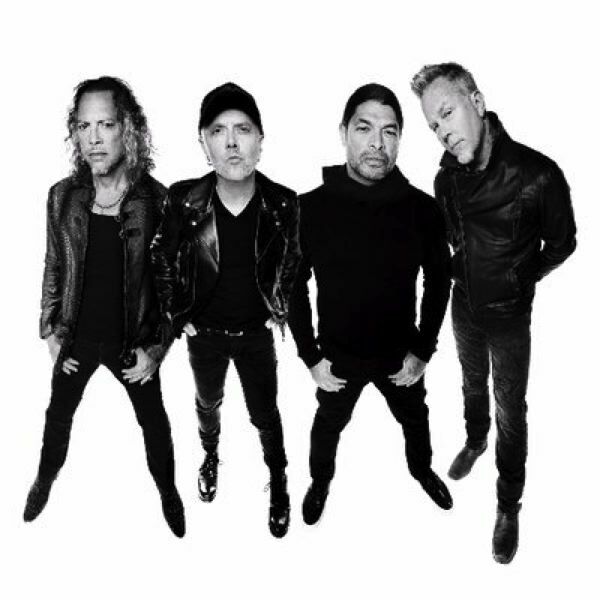 Metallica partnered with the American Association of Community Colleges (AACC), a Washington, D.C.-based organization that represents the nation's 1,103 community colleges. The Metallica Scholars awards are designed to provide support of relevant job skill training for community college students, reinvest in communities that supported Metallica during its recent United States tours, and leverage the influence of Metallica to elevate the importance of career and technical education. CCC says it will use the grant funding to purchase tools, textbooks, personal protective equipment for low-income students studying computer numerical control, industrial technology, welding and automotive technology. In addition to the tools, equipment and textbooks, the CCC cohort of Metallica Scholars will receive resume and interview prep and practice, job and/or internship placement assistance, advising, career coaching and additions support in transportation, books and supplies. "The All Within My Hands Foundation and Metallica are proud to announce this major new initiative," Dr. Edward Frank, executive director of AWMH, said. "We are now expanding our mission to include support for career and technical education. The goal of our Metallica Scholars Initiative is to improve career opportunities for community college students in the trades. Equally, we hope to raise the awareness of the tremendous importance, value and impact of the education provided by our nation's community college system." Walter G. Bumphus, AACC's president and CEO, said "For Metallica to see the benefit of these programs and invest in the communities that have supported them is a testament to the power of education and we are proud to do this work with them."